My pork meatball ramen is a mainstay in the Mackay household. It is super easy to make, healthy and full of flavour. To really make it a stand out, my tops tips are to buy good quality pork mince from the farmers market or butcher, and to use bone broth or good quality stock. Doing these two things really does make a difference to the overall dish. If I want to stretch this out for two or more meals, I follow the recipe as per the instructions below but also add another two - four cups of water to the broth. It just adds a bit more liquid for the next meal, to cook some more pak choy in. Combine the pork mince, garlic and ginger in a bowl and mix well. Roll into smallish meatballs. Heat the oil in a large pot over a medium heat. Add the garlic and ginger and cook to soften. Add the soy sauce and miring and stir. Add the bone broth or stock, cover and bring to the boil. Turn the heat down to a simmer and add the dried mushrooms. After 5 minutes, carefully add your meatballs to the simmering broth. Continue to simmer for 20 minutes or until cooked. In the meantime, fill a pot with enough water to cover your eggs. Once boiling, lower the eggs (straight from the fridge) into the water. Set your timer for 8 minutes. Once the timer is up. Transfer your eggs to a bowl of cool water. Leave them there until you’re ready to assemble your bowls. Cook some ramen noodles in a separate bowl by covering with boiling water from the kettle. 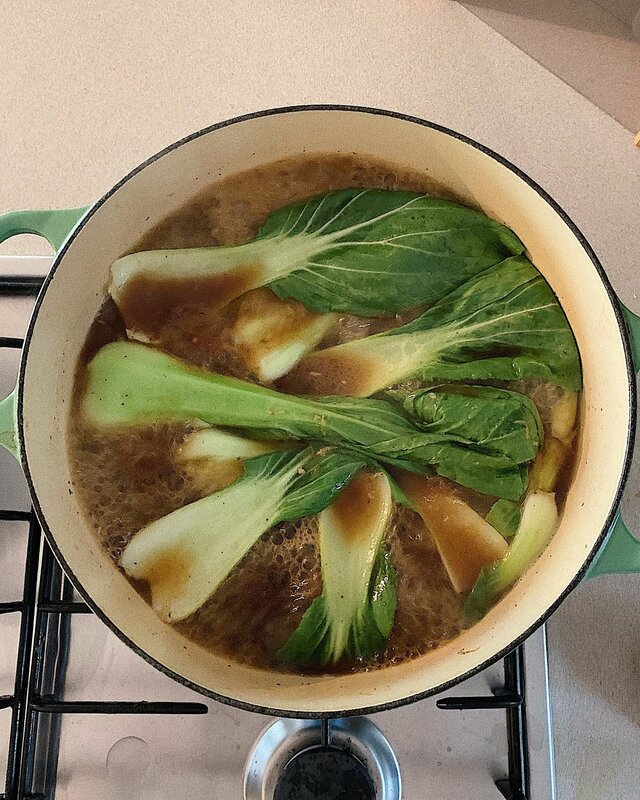 Add the pak choy to your broth and cook until just tender. Place some noodles in a bowl. Top with a nori sheet. 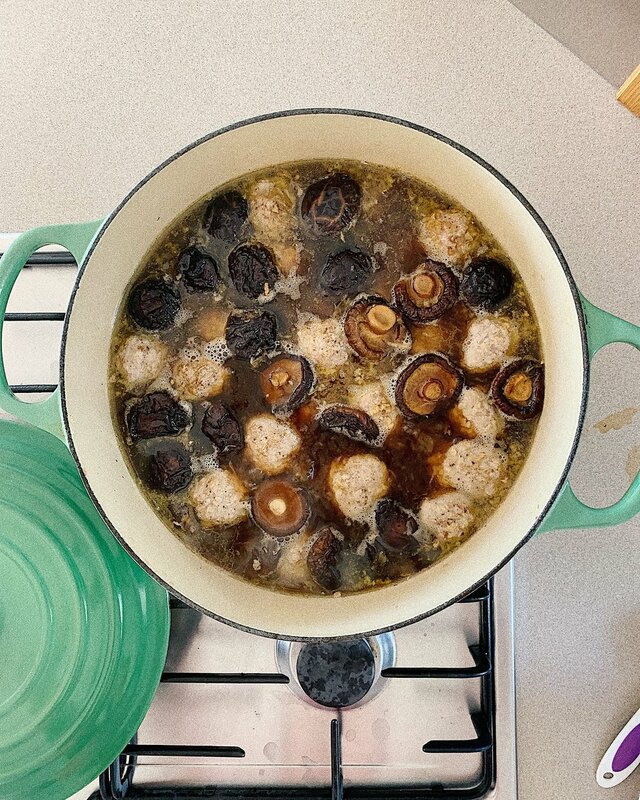 Spoon over your meatball/mushroom/pak choy broth. Top with an eggs (sliced in half vertically) and add some spring onions.